Site Brand It offers a reliable OpenCart web hosting service. We offer an automated OpenCart script installation at signup, a 24x7x365 tech support service and a ninety-nine point nine percent uptime guarantee. You can order an OpenCart-optimized hosting plan for as low as $2.91 a month, along with a new domain name. 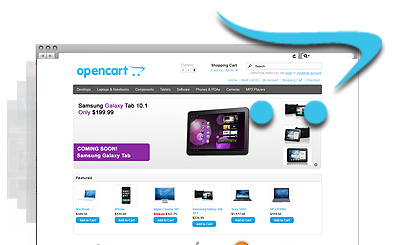 OpenCart™ is a registered trademark of OpenCart Limited and is not affiliated with Site Brand It. OpenCart hosting made easy with Site Brand It! We fulfill all requirements for hosting OpenCart-powered shopping portals. Site Brand It offers an excellent customer support service.